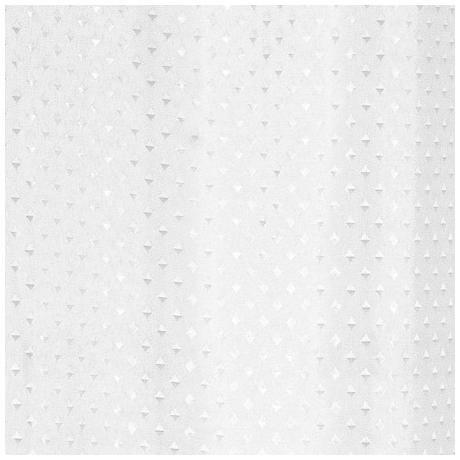 This Diamond Shower Curtain comes complete, ready to hang with pre fitted rust free eyelets. The Diamond Shower Curtain is made from water repellent fabric. The fabric shower is simple in design and has a weighted hem and rustproof eyelets for added practicality. This shower curtain would look great in both modern and classic bathrooms. Designed and manufactured by leading shower accessory brand Euroshowers. Q. How many eyelets does this shower curtain have? Hi Lucy, this Shower Curtain comes with 12 snap curtain rings to match the 12 eyelets. Thanks! This product fitted well, arrived on time and is excellent quality. would certainly order from them again.